A grand medallion design spewing palmette vinescrolls and finials virtually rules the field of this arrestingly beautiful antique Serapi. 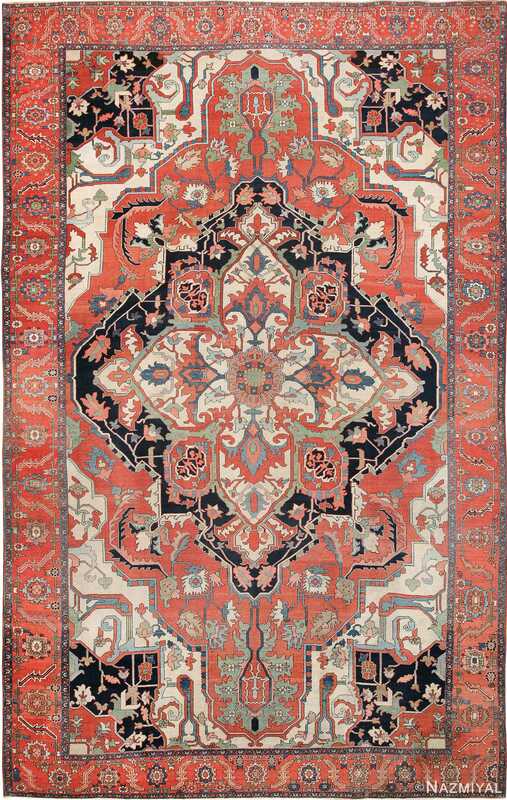 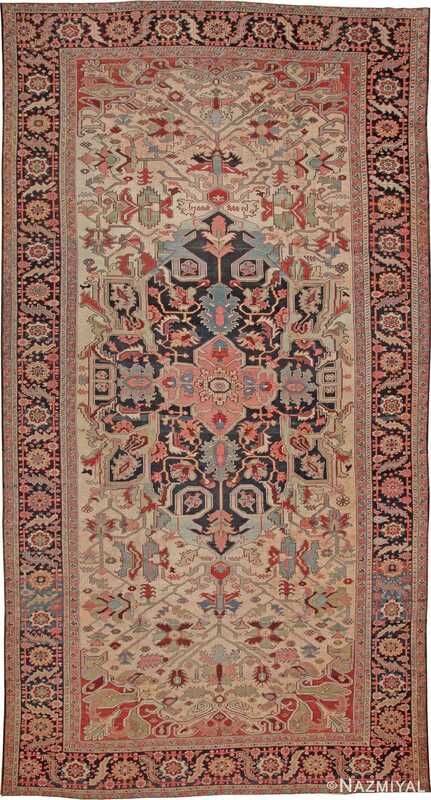 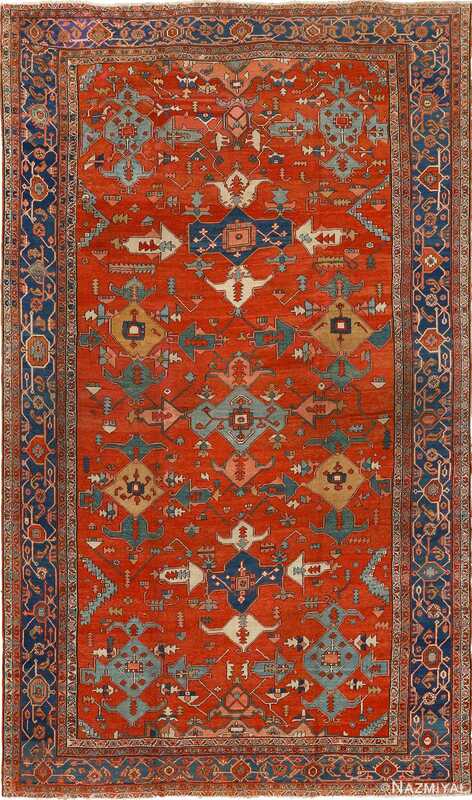 Beautifull Geometric Design Antique Oversize Persian Heriz Serapi Rug, Country of Origin: Persia, Circa date: Late 19th Century – A grand medallion design spewing palmette vinescrolls and finials virtually rules the field of this arrestingly beautiful antique Persian Serapi. 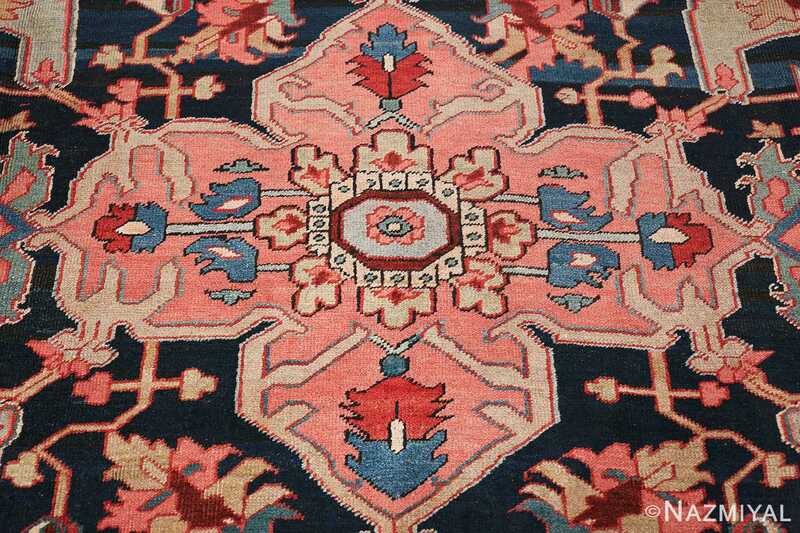 Vinescroll cornerpieces give the soft camel ground a hexagonal form, while they echo the rich palette of reds, terracotta, greens, and soft blues of the main floral elements. 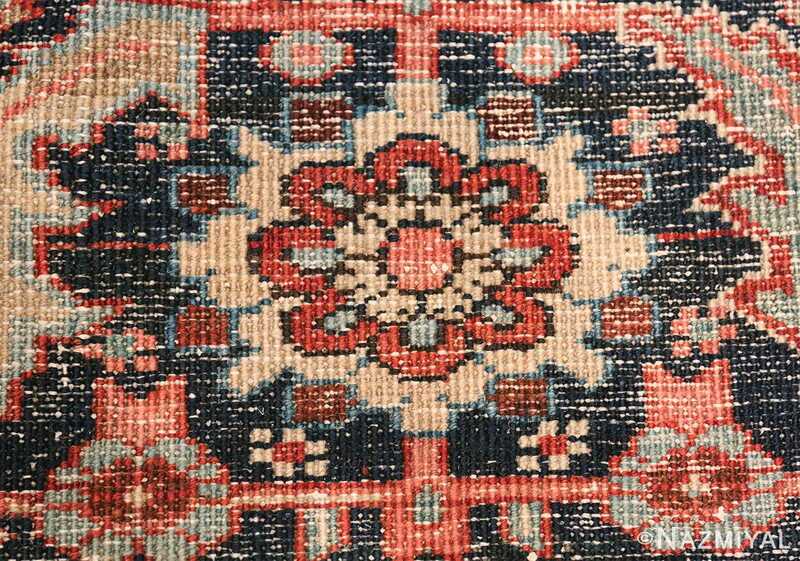 A vine-scroll border provides a framing contrast in scale, while its dramatic blue-black ground reprises the ground color and graphic impact of the central medallion. 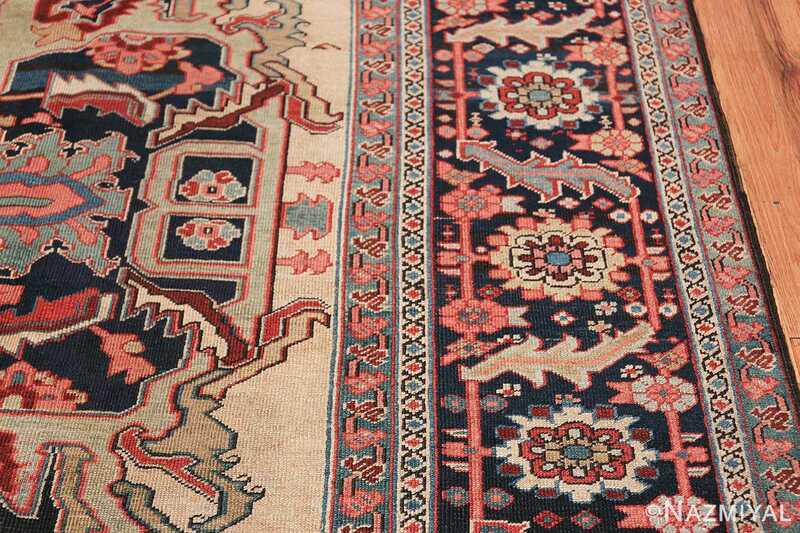 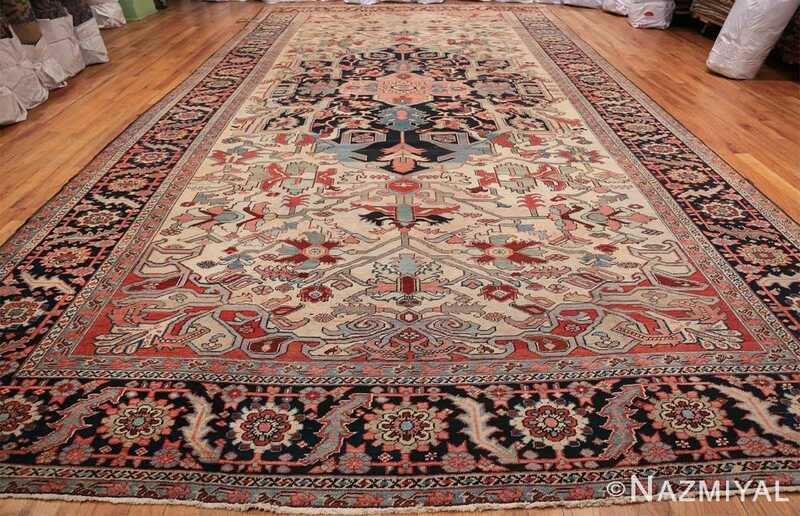 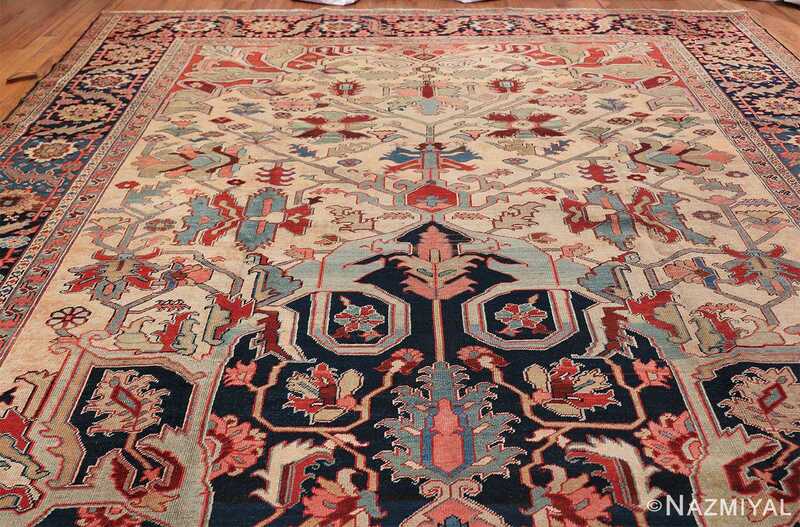 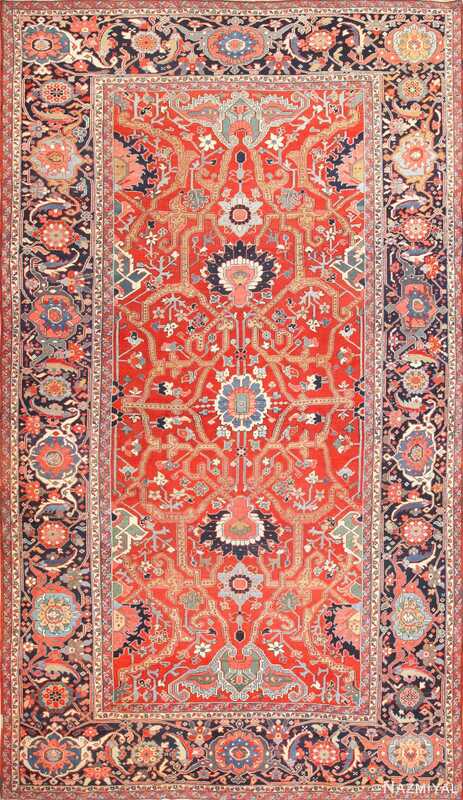 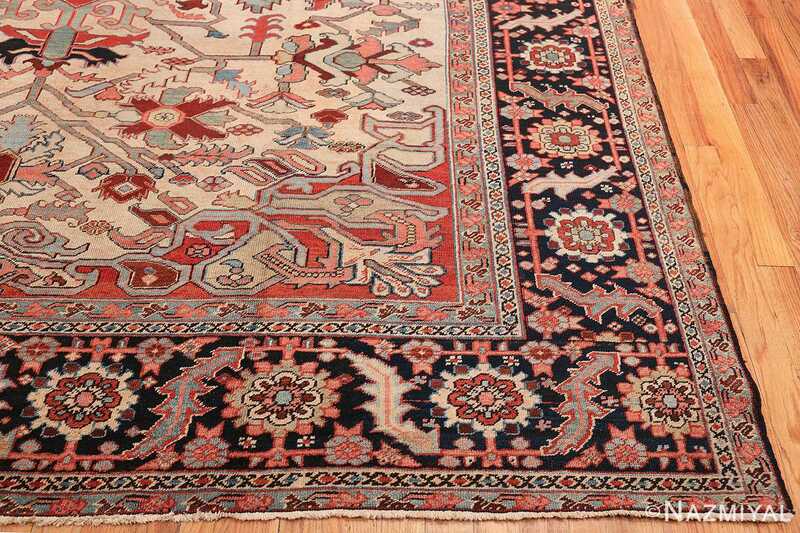 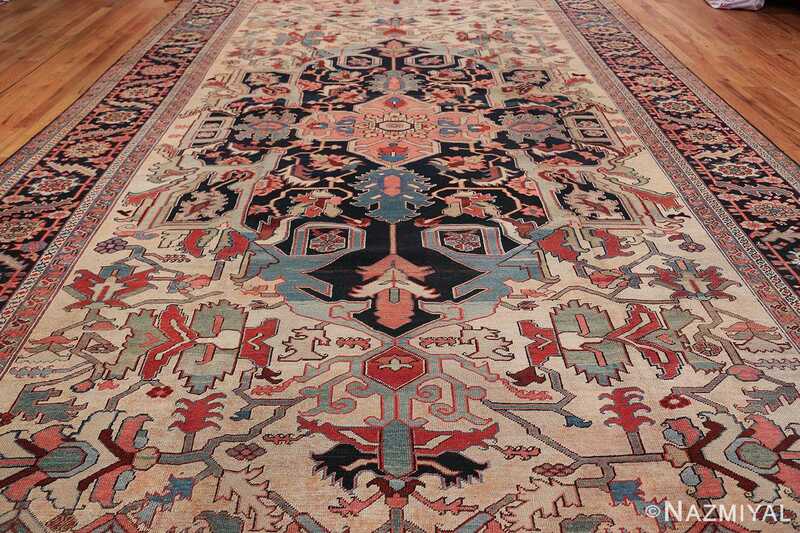 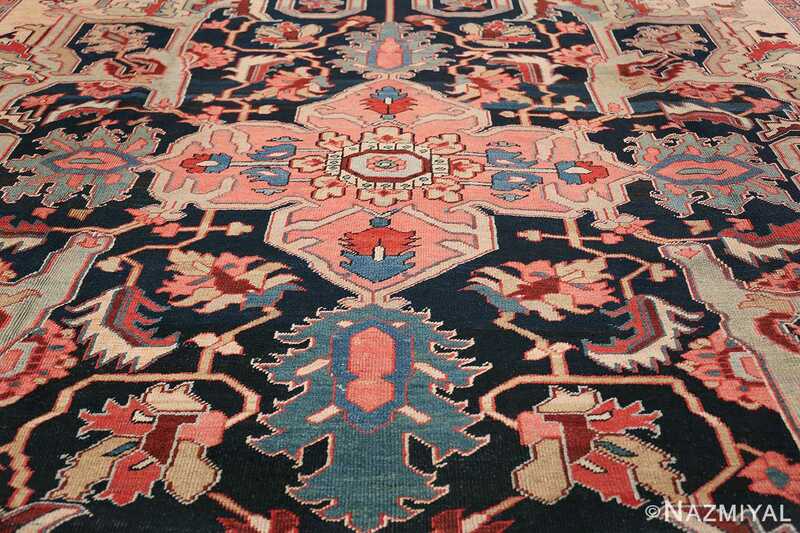 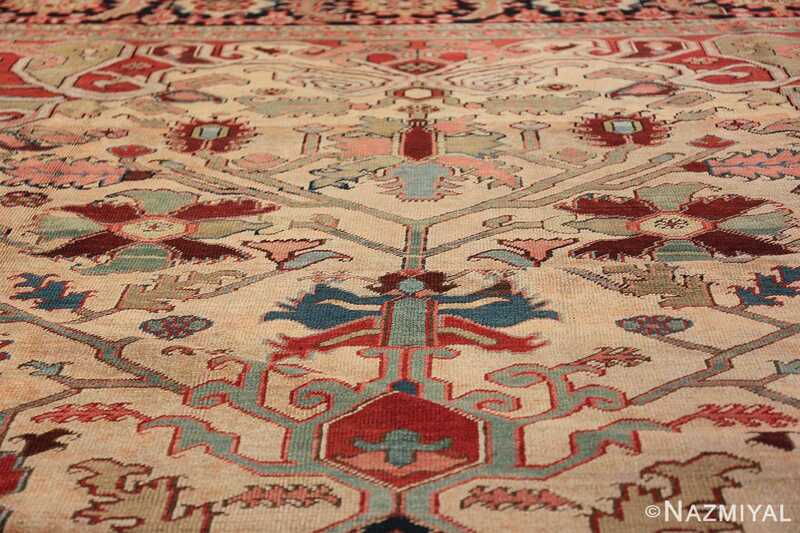 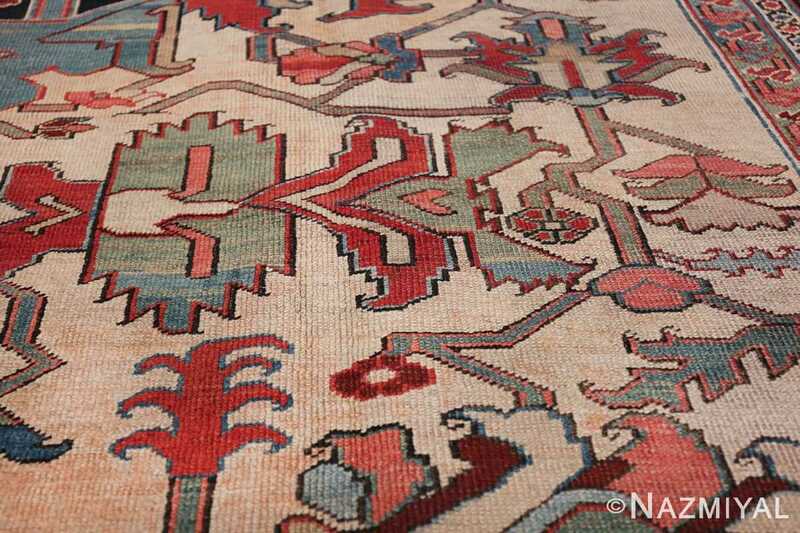 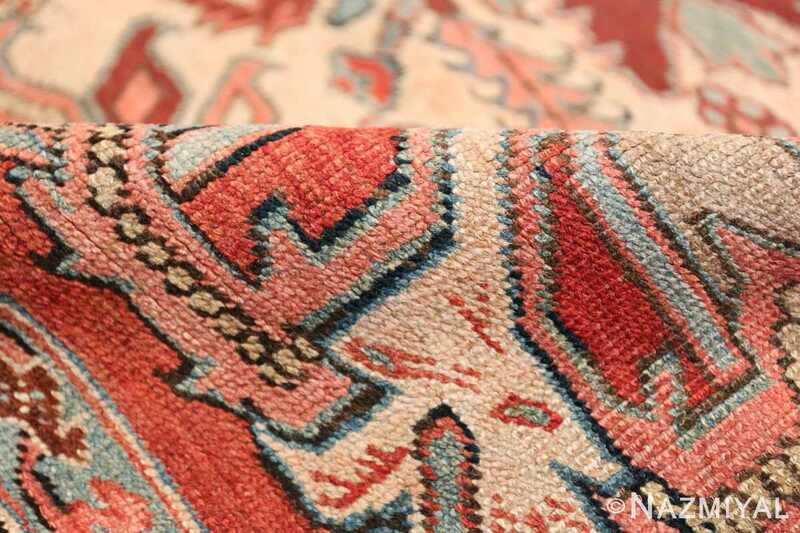 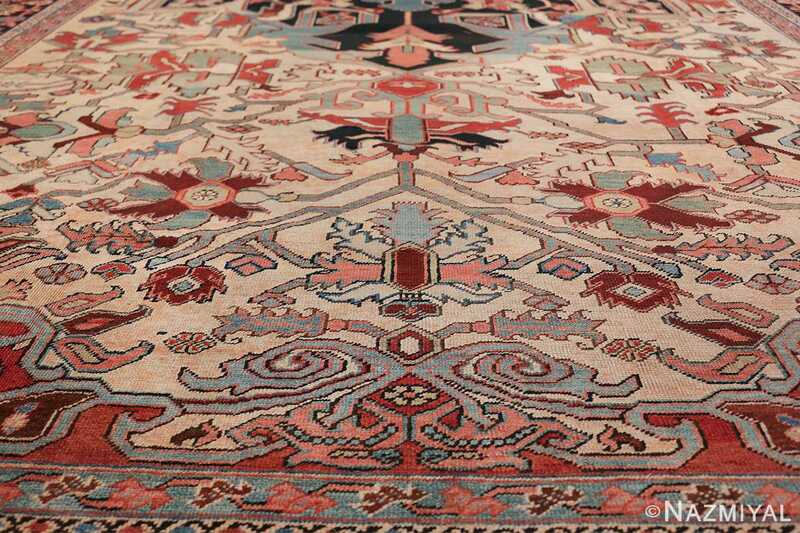 Antique Persian Serapi carpets represent the finest grade of Heriz, but this magnificent antique Persian rug is extraordinary for its bold drawing and color, even among Serapi’s.